Whether you are just starting out when it comes to cot research or have exhausted Google and still haven’t found the perfect one, we guarantee there will be something here to tickle your fancy. 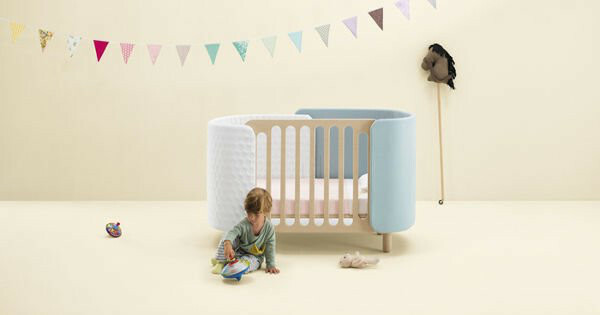 Come take a look at the Babyology guide to incredible cots. Let’s start off with a bang and one of the most extravagant cots you will probably come across. The Lydian Crib by Nursery Works (pictured above) features a 24 karat gold square base. I’m a sucker for furniture that grows with our kids so it was a no brainer that the Stokke Home Bed caught my attention. 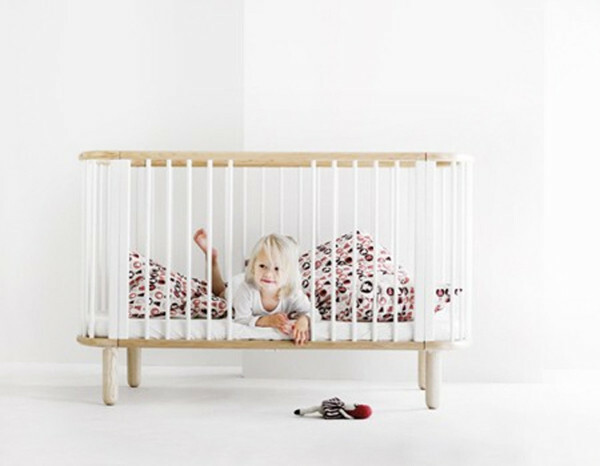 Practical with a generous dose of fun, this cot transforms to a toddler bed and comes with a roof shape framing the top of the cot and you can add either a Stokke roof or tent so it doubles as a play fort. If you are looking to add a bit of character to your baby’s nursery through shape and colour than the Beaneasy Dream Cot will come as a breath of fresh air. The organic kidney shape is endearing and the option of the slanted mattress position to help babies with reflux is a unique bonus feature. We can’t go past classic Scandinavian design and the Wood Cot from Oliver Furniture is just the right mix of modern and classic. Available in all white or white with oak legs, we can’t decide which is our favourite look. We all agree though that the adjustable height and removable side and end makes this gorgeous cot a worthy investment. The Evolve Cot from Baby Vox is uber modern and fun for the nursery with the added bonus of stimulating your baby’s senses while it is at it. 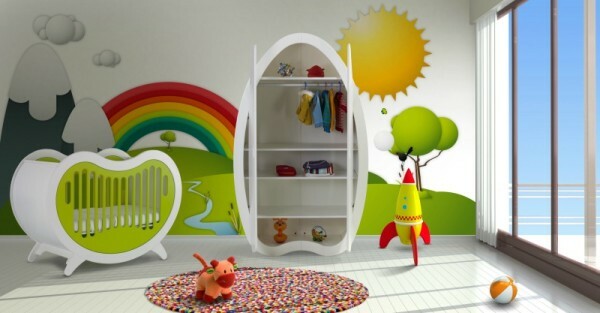 There is a dresser with change table and wardrobe that are also part of the collection to keep the theme and development opportunities going. It is always refreshing to see a new take on the standard cot and the architecturally designed Kutakai range lifts the bar yet again. 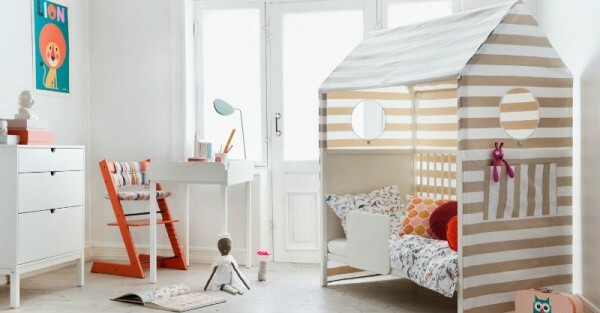 The toddler bed toy house has a lofted roof and windows to peek out of and is cleverly designed to go from practical cot to fun toddler bed with a few ingenious additions. 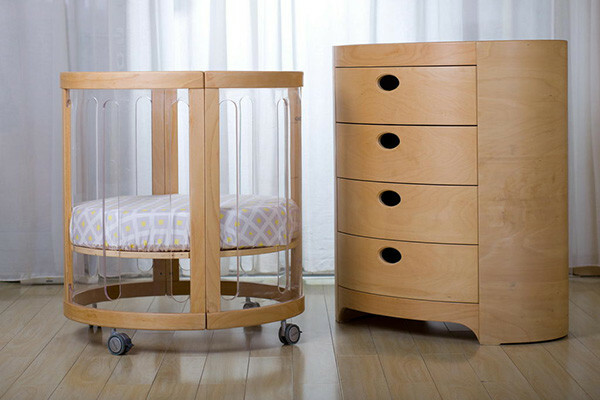 The new Grotime Melody Bassi-Crib System is such a clever, space-saving solution. It converts from a bassinet to a cot and here’s a bonus feature that shouldn’t be glossed over – it can fit through a normal door! No brain strain trying to work out how to move it, just roll it on through. For more in Scandi style and innovative furniture that will grow with your child, we can’t go past Flexa. 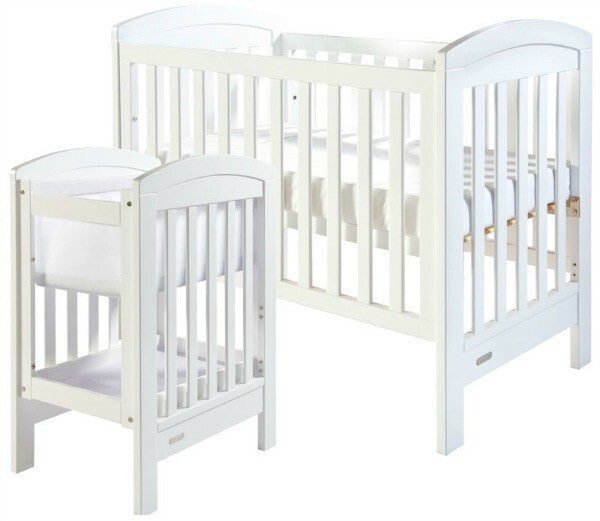 Their baby cot bed is lovely in an oval shape that is white with beech timber accents. It’s five-in-one design means it will work with you from newborn right up to school age. If stunning and creative design is to be the cornerstone of your cot decision making process then Dot and Cross has something unique and beautiful on offer. The padded cot is tactile and inviting and converts into a sofa when no longer needed in the nursery. You won’t believe what this next cot can do! The Kaylula Sova Cot is the first oval shaped cot to be made from perspex and it can go from bassinet to cot to toddler bed. But wait there’s more; it can also transform into a playpen and table and chairs. Now that is one versatile piece of furniture. Boori has set the standard in Australian made, quality nursery furniture and it was their sleigh cot that really set them apart. The Sleigh Royale Convertible is the ultimate in opulence and converts from cot to sofa to full size bed with lots of matching pieces in the collection to finish off the whole nursery in luxurious style. Classic and timeless, the warm and inviting hue of timber can always find a home in the nursery. 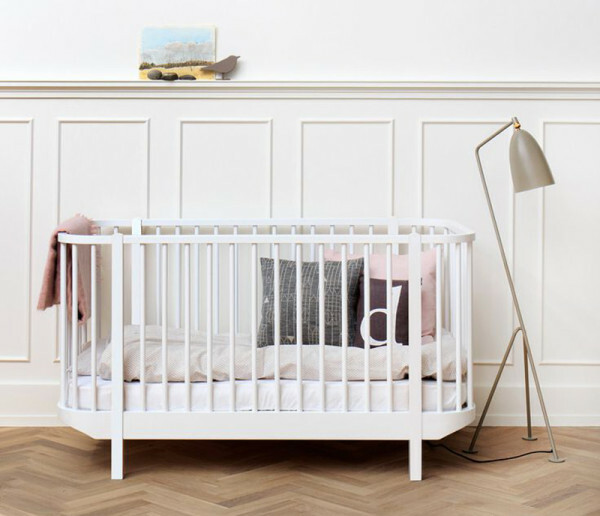 The Tuscany Four-In-One Cot Bed from Tasman Eco has a strong, linear look that is supremely functional and easily complements existing furniture. Last but definitely not least, check out the Cocoon Ritz Cot from Australian company Chukles. Durable and versatile with gorgeous strong lines, this cot is another five-in-one number that will outlast the nursery. 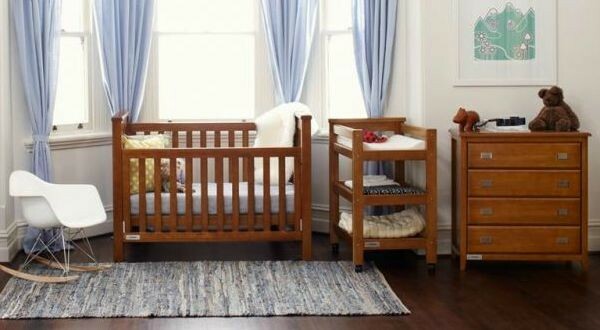 There you have it, versatility is king when choosing a cot but that by no means limits your style options. Happy hunting and be sure to send us a pic when you have your nursery all kitted out and looking lovely using the Show Us Your Nursery Form on our contacts page.